Fire and Ash is the story of female fire investigator Sadie McGregor. When she was a child, Sadie lost her family in a horrific fire that still haunts her. She's now been called in to investigate a fatality fire in her hometown of Emerald Point, Missouri. What Sadie and the handsome new police chief discover will not only affect those close to them, but will rock the entire community. "This is a beautiful, yet hard-hitting story, fluently written, presenting characters you fall in love with." "A Top Pick! Another Fantastic Novel!!!! Anne Patrick's novel, "Fire and Ash" is a well-written novel that flows wonderfully. A fantastic read!" "A wonderful read, this book had me laughing and crying. True to life characters and vivid descriptions, along with comedy and heart stopping moments, make this a page turner you'll want to read again." 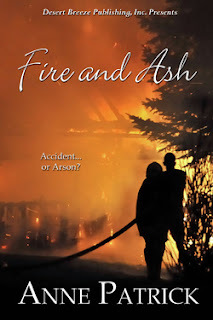 "As a forensics show enthusiast, I found that Anne Patrick, in her book, Fire and Ash, goes into great, minute detail of the fire investigation, that puts you on the scent of a perpetrator. Her unique ability to incorporate multiple plots to throw you off course makes the pages fly by to connect the dots." 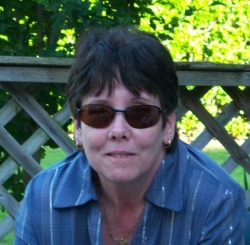 "As a retired fire investigator I have to say kudos to Ms Patrick on her research. I normally don’t read romantic suspense, but this book sounded intriguing so I couldn't resist. I WAS NOT DISAPPOINTED"
Received Four Stars from Romantic Times Book Reviews! LASR BEST BOOK of 2010 Nominee! 'Best Inspirational' 2010 at The Romance Reviews! #1 Bestselling Suspense eBook, and #1 Bestselling Romance eBook at Christianbook.com! Amazon Top 100 Bestseller in Christian Fiction! 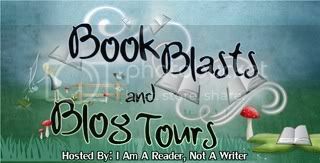 Anne Patrick is the author of more than a dozen novels of Romance, Mayhem & Faith, including the award winning and bestselling WOUNDED HEROES SERIES, FIRE AND ASH, and TIES THAT BIND. When she isn't working on her next novel she enjoys spending time with family and friends, and traveling to foreign countries to experience new cultures and adventures. Born and raised in Oklahoma, she now makes her home in Kansas.